Andhra Pradesh government is using battery charged autos in Velagapudi secretariat. These are used for Employees transport and moving the employees from one block to another block. As the secretariat is spread across five blocks and to move the files and employees from one block to another, these are used. The main motive is to make the premises of the secretariat pollution free. A total of four battery autos have been arranged by APCRDA. These would be kept in charging for the whole night and would be used in the day time. 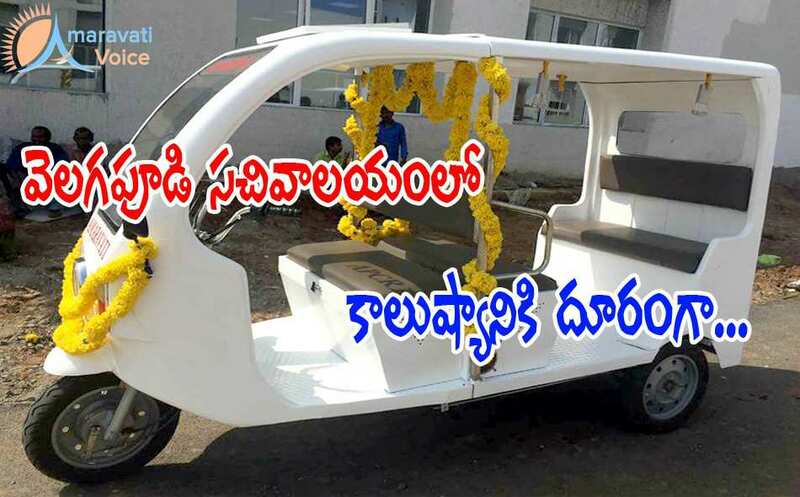 Chief Minister Nara Chandrababu Naidu has started these vehicles and they are being used in the secretariat.